Fuji Apple Strawberry Nectarine by Pachamama is an all-new 3 fruit flavor fusion! Brought to you by the master juice makers over at Charlie's Chalk Dust. The sweet and tart Fuji apple blends smoothly into the strawberry and nectarine flavors. 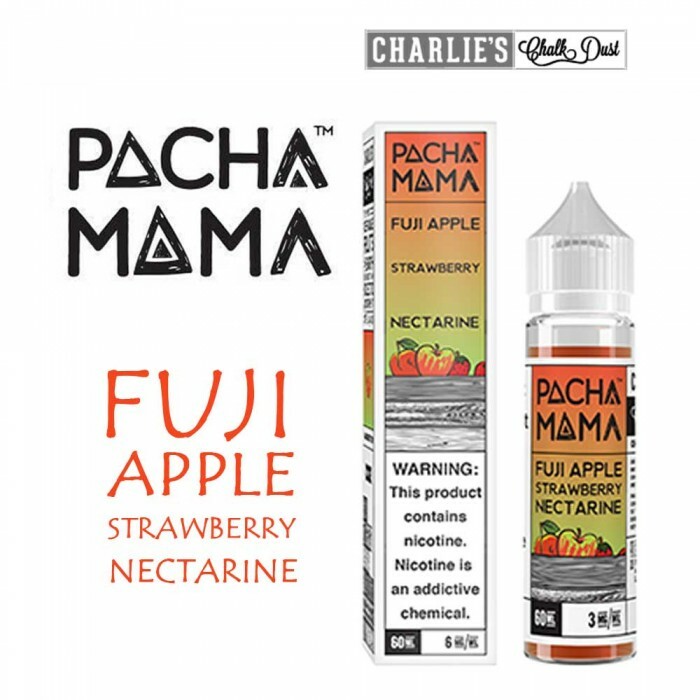 Pachamama has done it again with this skillfully crafted eliquid flavor.